After some turbulent times, prog-rock legend NEKTAR is back ! Now it's called NEW NEKTAR! The new album ‘Megalomania’ takes stock of the current state of the world and is shaped by shared experiences and events unfolding over the past years. 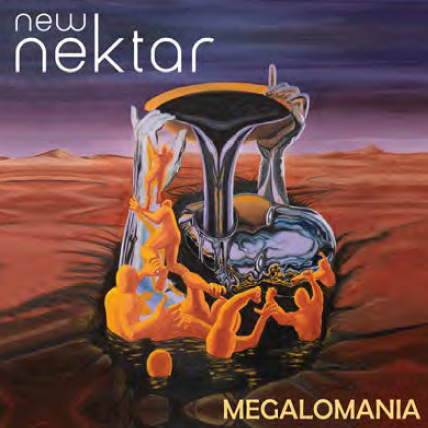 Contemporary and critical of its time, it remains conscious of NEW NEKTAR’s extensive and great history, with the new tracks continuing effortlessly along this path. Drummer Che Albrighton (son of original member Roye Albrighton), Klaus Henatsch (keyboards) and Tom Fry (bass) have been on the road together with Roye and Ron Howden as NEKTAR in recent years. New in the band is singer/guitarist Alex Hoffmeister, himself a live Krautrock legend, who now stands in the optical center of the band and does not even try to replace the deceased Roye Albrighton. He sets his own fragrance brands! NEW NEKTAR has always been shaped by group changes and trips down various musical avenues. Now there is this new line-up again, with Klaus Henatsch the 11-year constant. He is also the one to whom, after the passing of frontman Roye Albrighton, the baton has been passed as musical lead, producer and head of the band. 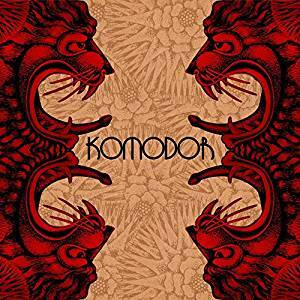 The tracks featured on "Megalomania" persuade the listener through innovative song writing, melodic complexity and a musical sense of adventure. And yet, they remain true to the sound of past NEKTAR releases, most recently "Time Machine". In December 2018, NEW NEKTAR will begin a new tour and deliver proof that they have been rightly termed a signpost for contemporary neo-prog, all whilst remaining one of the original pillars of prog-rock. Their set will feature the new album "Megalomania", for which CD and vinyl sales will hit the shelves right on time for the tour. A gigantic light show will thrill the audience, as it accompanies the new tracks and visually narrates the history of the band. 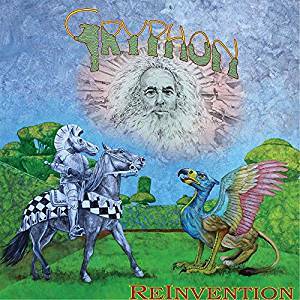 Brand new solo album by the former MOBY GRAPE co-founder! Undoubtedly, San Francisco-based MOBY GRAPE belongs to the greats of the West Coast psychedelic scene of the late 1960's and must be named in one go with Jefferson Airplane, Grateful Dead and Quicksilver Messenger Service. With their radical mix of folk, country, psychedelic, blues and jazz they even went a giant step further than their competitors. The first three albums "Moby Grape" (1967), "Wow / Grape Jam" (1968) and "Moby Grape '69" (1969) are all masterpieces and belong in every well-stocked record cabinet. The band's five founders, Jerry Miller (git), Bob Mosley (bass), Peter Lewis (git) and Don Stevenson (drums) are still sporadically gathering for joint activities, only Alexander "Skip" Spence, the band's enfant terrible , died in 1999. 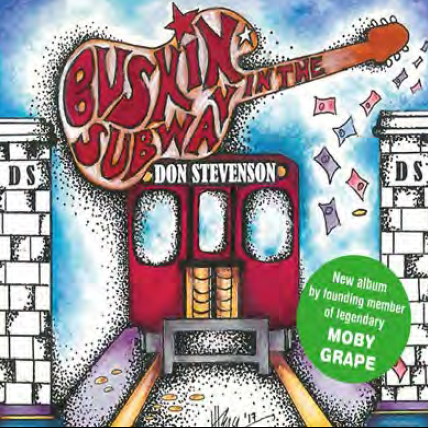 All band members wrote and sang their own songs, certainly another reason for the enormous diversity of MOBY GRAPE. Celebrating the 15th anniversary, the Swiss Rockin 'Teenage Combo will present itself with a live double album from the last two tours in 2017 through Germany and Switzerland. From over 40 hours of raw material, a harmonious mix has been created between Alltime Zappa favorites, self-interpretations and unknown works from the work of the Big Z. It's a dirty job, but one has to do it eventually. Or seven and a half. FiDO (2003-? ), Seven-eyed men and their lady-like mixer - embark on a 15-year tour on the occasion of their 15-year anniversary on "Making Zappa's Great Again For 15 Years" tour, once again reaching deep into the repertoire and bag of tricks the American composer, guitarist and style-making civil fright Frank Zappa (1940-1993). On board the freshly printed double live CD "Atlantis & Elsewhere" from the last tour. With the intrepid mix of a sassy rocking live show paired with virtuoso Swiss precision craftsmanship, with which the stage-experienced professionals live out their passion for the music of the Great American Composer, the Swiss Tribute Orchestra knows how to grab all audiences. The seven musicians celebrate with many voices and with verve obscure stories of modified dogs, stinking feet, sad Eskimos and all sorts of other curiosities of life, the brash humor and the sometimes nasty falsifications of the front man Dave Muscheidt breathe the spirit of the great entertainer and provocateur FZ. 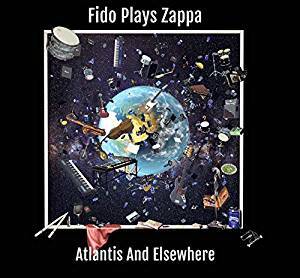 FiDO shamelessly exploit improvisational freedom, breaking stylistic boundaries with great virtuosity and making full use of the musical diversity and compositional humor of Zappa's work. With numerous inspiring live shows all over Europe and six released sound recordings, the Swiss Tribute Orchestra has probably earned a place in the Olympus of the worldwide Zappa community in the last decade: Stylish, virtuoso, humorous and with his own approach, FiDO and his audience are still intoxicated after 15 years with the ingenious work of Frank Zappa. On March 28 of this year, Cave In bassist, Caleb Scofield, died in a car accident leaving behind his wife and two children. The Cave In inner circle rallied around Caleb’s family, fundraising and arranging benefit shows; it was clear that their aim was to do what their friend tragically no longer could – provide for his family. 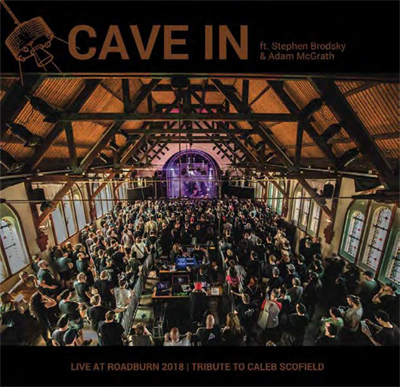 At the 2018 edition of Roadburn, Stephen Brodsky and Adam McGrath paid a moving tribute to Caleb with an acoustic set of covers and Cave In tracks. As the audience and band members alike found catharsis through music, we wouldn’t have begrudged them one bit if this performance was the closest we ever got to Cave In at Roadburn. As communicated at the time: On Saturday, 21 April, Stephen Brodsky and Adam McGrath will unite to play a very special set at Het Patronaat in honour of Caleb Scofield, their long time bandmate, collaborator and friend, who sadly passed away last month. The pair comment: “Please join us for an afternoon of Cave In songs and cover tunes dedicated to Caleb Scofield, our best friend and bandmate who passed away tragically and suddenly on March 28th, 2018. Sincere thanks to the goodhearted people of Roadburn for swiftly and gracefully giving us an opportunity to honor Caleb’s life and legacy.” We, at Roadburn, are honoured to be able to host such a special tribute to Caleb– a musician who not only performed at Roadburn himself (as part of Old Man Gloom in 2014), but whose influence can be seen in many of the bands that pass through the festival. Part of the proceeds will go to the Caleb Scofield Memorial Fund. The long awaited debut full length album from this occult trio. 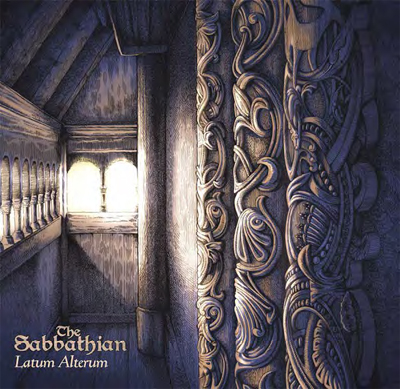 Taking their roots to the core of true, heavy, darkened metal, The Sabbathian draw an unparalleled ion from the likes of Candlemass and Black Sabbath, all while retaining a sound very personable to them. Formed by Chad Davis (Hour of 13), the journey is to create music for the hours of darkness and gloom. Joined by guitarist Joey Downs (Altar Blood), his contribution adds the element of power and everything the sense of heavy. Featuring the sheer vocal beauty of Anette Gulbrandsen (Leave's Eyes, Nattsol, Mäctätus) at the forefront, her alto/soprano vocal stylings bring forth medieval choirs and haunting apparitions that complete what is The Sabbathian: a journey into darkness, a voyage into the cosmic void unknown.